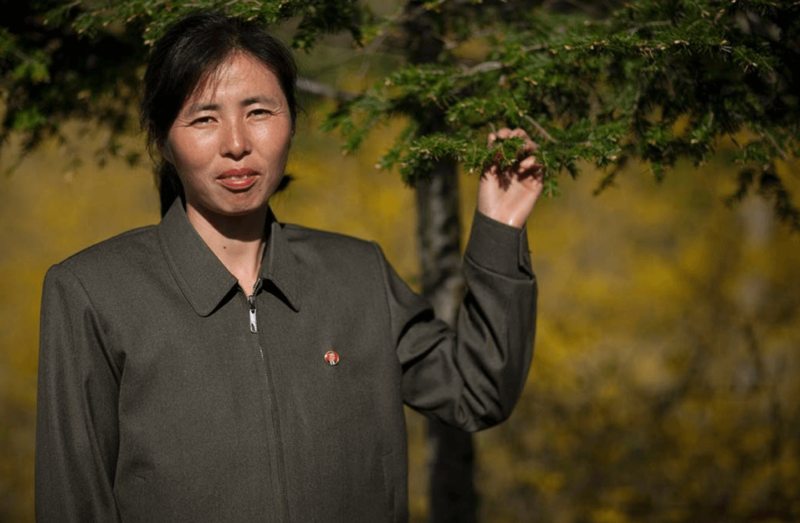 10 Best Jobs in North Korea: What's it like to work in a communist utopia? 10 Best Jobs in North Korea. What’s it Like To Work in a Communist Utopia? North Korea: the land of Kim Jong Un, nuclear weapons, military parades, and endless lists of bizzare facts. But have you ever considered what do people do everyday? In other words, what are people’s jobs in North Korea? 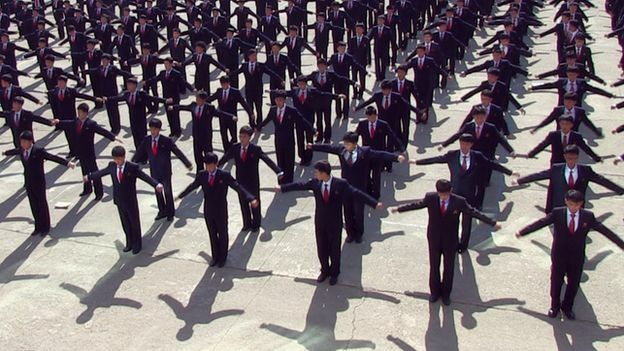 We’ve put together a list of what seems like the only 10 viable jobs in North Korea. Keep reading to find out more what does it take to get a job in the communist utopia. 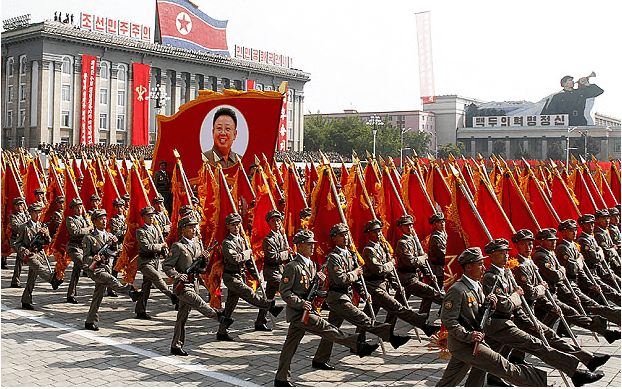 Military Parades happen regularly to celebrate the country’s various holidays. Image courtesy of The Telegraph. If you join the army, you’ll have one of the most highly regarded jobs in North Korea. It’s estimated the government spends around 30% of the country’s budget on military despite its ongoing difficulties to fund healthcare or rural development. You’ll have a chance to become part of the largest military in the world, with 7.7 million servicemen and servicewomen. There are 47.8 active duty military members for every 1000 citizens, which is ten times higher than the US. Beware, you’ll have to undergo a demanding training, which is mandatory for all men and women in North Korea. Every man has to serve a ten-year term when he turns 18 years old. Cyber Warfare specialist. Your job would include hacking South Korean banks, governmental organizations as well as the president’s office. Member of the submarine fleet, serving on one of the 75 submarines (the US has only 70 submarines). Missile launch officer. Be ready to deal with Kim Jong Un’s temper tantrums. Special forces. You would take part in activities such as digging tunnels to South Korea. 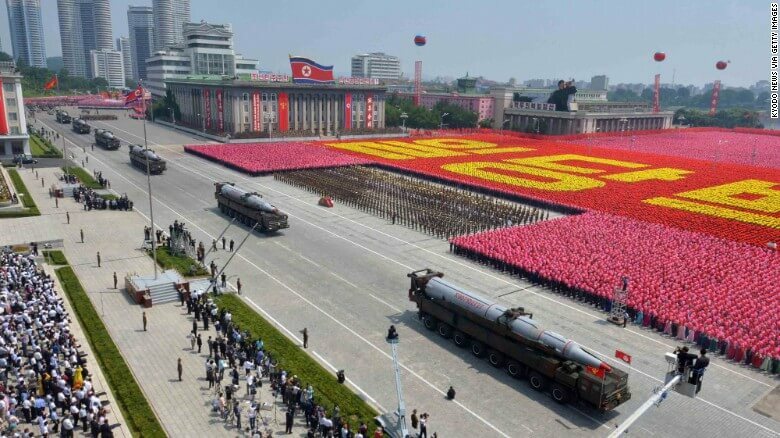 A military parade in the country’s capital Pyongyang, showing off weapon technology. Image courtesy of CNN. 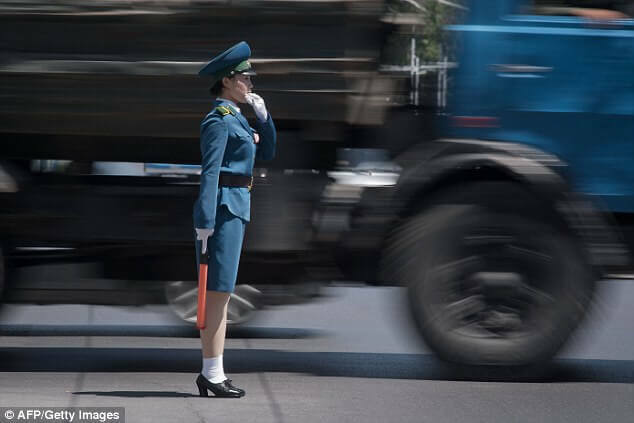 More than 300 women direct traffic in the streets of Pyongyang. Image courtesy of Dailymail. One of the most coveted jobs in North Korea involves working as a human traffic light in the streets of Pyongyang. Undergo demanding training where you’ll master elegant moves and improve your endurance. You’ll work in a blue uniform which consists of a knee-length pencil skirt, blue fitted military-style jacket with a belt, white socks in heels, a distinct high-peaked hat, and white gloves. In winter, your uniform will be embellished by fur complements and a thick hat. Collaborate with a team of 400 male colleagues stationed at roundabouts. 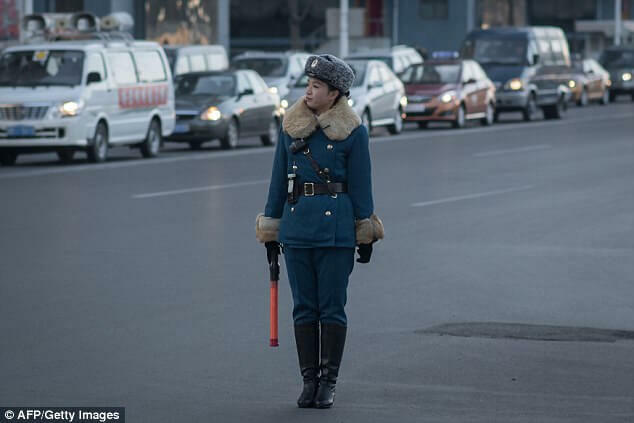 The legendary North Korean traffic lady wearing the winter version of the well-known blue uniform. Image courtesy of Dailymail. 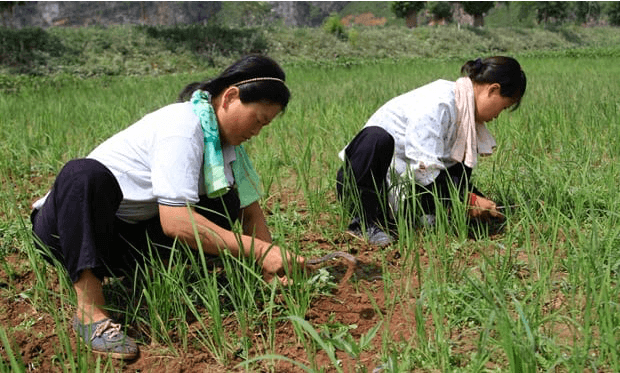 As a farmer in North Korea, you’ll have access to limited number of machinery. Most of the work is done by hand. Image courtesy of The Guardian. If you’re not a fan of busy city life, get a job in the rural parts of North Korea and enjoy the misery of staying outdoors all day. The monthly income is $1-$2 a month. However, you’ll be able to enjoy the recently introduced benefit of keeping a share of your crops before handing over the majority of it to the state. Contributing to the production of cereal rations on which 16 out of 25 million people rely. 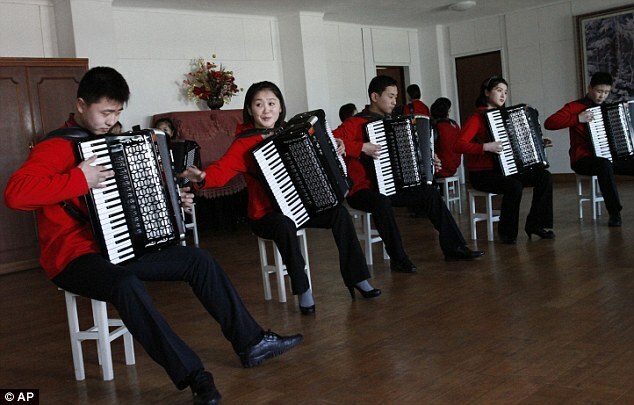 Unofficial sources say, there’s at least 1.2 accordions per capita in North Korea. Image courtesy of Dailymail. As a music teacher, you’ll never lack work in North Korea, especially when it comes to accordions. During the 1990s, all teachers had to learn the accordion. Many say this requirement remains to this day. Accordions are often called “the people’s instrument”. If you can’t quite imagine anyone being this crazy about accordions, check out this North Korean take on A-Ha’s Take On Me. Keep in mind that as a music teacher you’d be required to make your students truly master their instrument. For a reference of the students’ abilities, here’s a video of North Korean children mastering the guitar. Creepy or cute? One of your responsibilities as a tour guide would be bringing all tourist to bow to the dear leaders’ monument at the Mansu Hill. Image courtesy of CNN. Being a tour guide is one of the jobs in North Korea that require most responsibility. 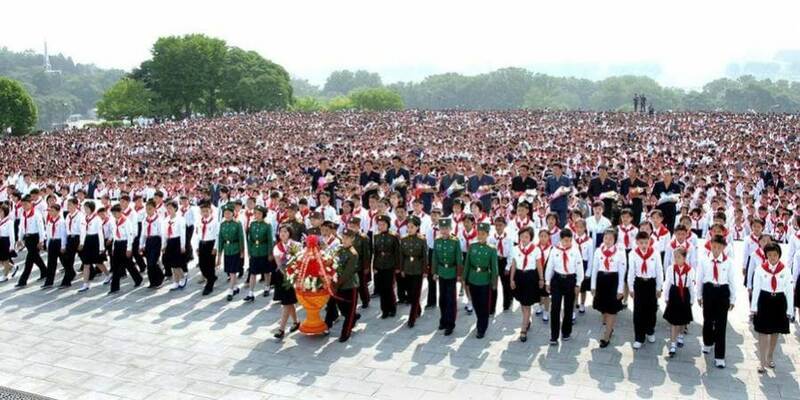 Over the past few years, tourism has been on the rise in North Korea. It’s estimated, that every year, around 6,000 Western tourists visit the secretive country. Still, tourists aren’t allowed to explore the coutnry on their own. They’re forced to rely on a tour guide. As a tour guide, you’d essentially be the keyholder. It’d be your responsibility to watch every move the foreign visitors make and show them the country in the best possible light. 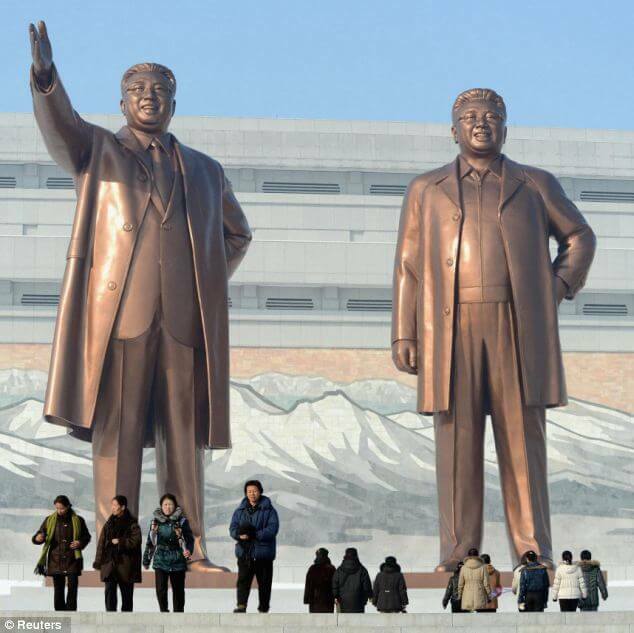 Ensure that tourists bow to the statues and the bodies of former leaders Kim Il Sung ad Kim Jong Il. Vynalon is the main material used by tailors across North Korea. This uncomfortable material is considered the national fibre of North Korea. Image courtesy of Eric Lafforgue. 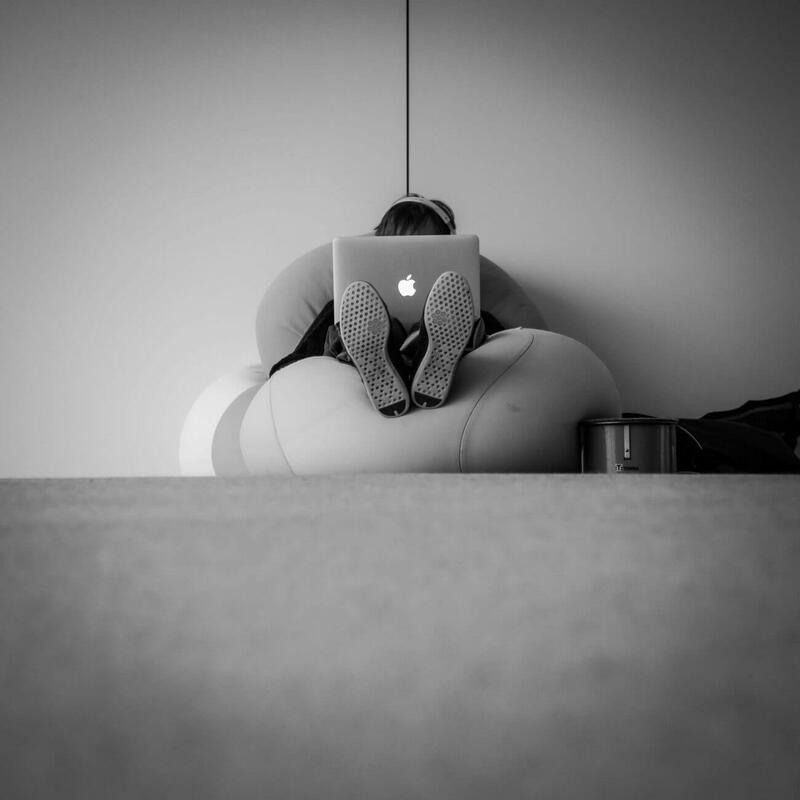 If you’re looking for a job in the fashion industry, get ready to get busy. Between 2016 and 2017, North Korea exported $166.82 million worth of men’s waterproof jackets alone. North Korea exports a lot of clothes, but at the same time they’re always looking for local fashion designers to design clothes that comply with the state regulations. Eliminate any influence of Western fashion such as short skirts, design brands, bright colors, or indecent patterns. Your main material will be vynalon. A stiff, synthetic fiber created in North Korea in the 195o’s. This material is used for both uniforms and casual clothes. Remember, no denim is allowed, as jeans represent the capitalist USA. Uniforms are everywhere. From young pioneers, through students, to military servicemen and servicewomen. As a tailor you’d never be short of job opportunitites. Image courtesy of The China Times. Tailors have one of the most useful jobs in North Korea. Especially, when you consider the number of uniforms that has to be made every year. People in North Korea wear uniforms regardless of their age and gender. Children wear pioneer uniforms, students wear school uniforms, and understandably, the military requires thousands of uniforms for its members. Married women must keep their hair short, while single ladies are allowed longer hair. Image courtesy of Time. As a hairdresser in North Korea, your creativity would be somewhat limited. You would be required to have a perfect knowledge of the 28 state-approved hairstyles. 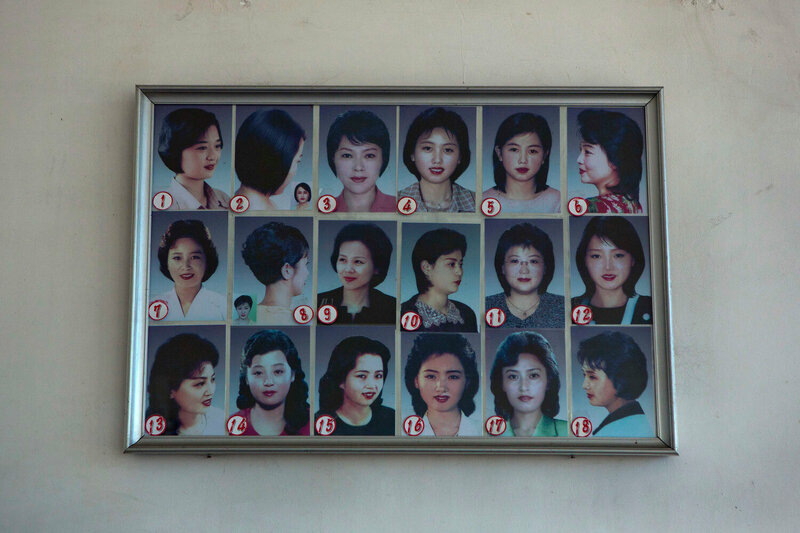 Allegedly, only 18 hairstyles for women and 10 for men are allowed in North Korea. Single ladies are allowed to keep their hair longer, while married women must cut their hair short. As for men, they have to keep their hair no longer than 2 inches. Older men, however, can get away with 3 inches. As a hairdresser, don’t even think about copying the leader’s look. Kim Jong Un has put a trademark on his side-shaved swept-back style. 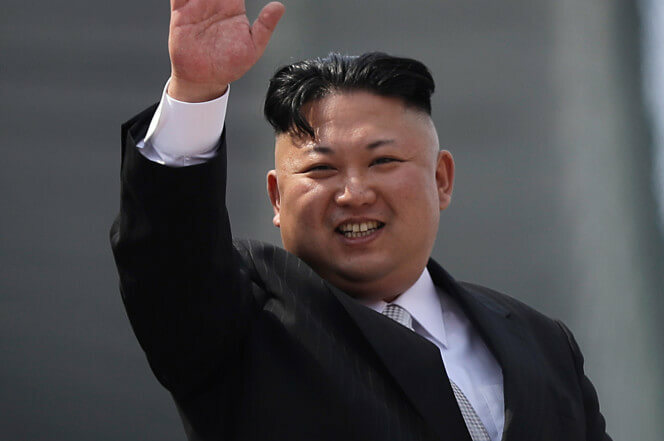 The iconic hairstyle of Kim Jon Un is not on the list of hairstyles the state allows peope to wear. Image courtesy of New York Post. As a sculptor, you’ll have three options as to Image courtesy of Telegraph. Overall, this is a boring job. You’ll have a multiple options as to what statues to create. Kim Il Sung, Kim Jong Il or Kim Jong Un. On the other hand, you would never run out of job opportunities. 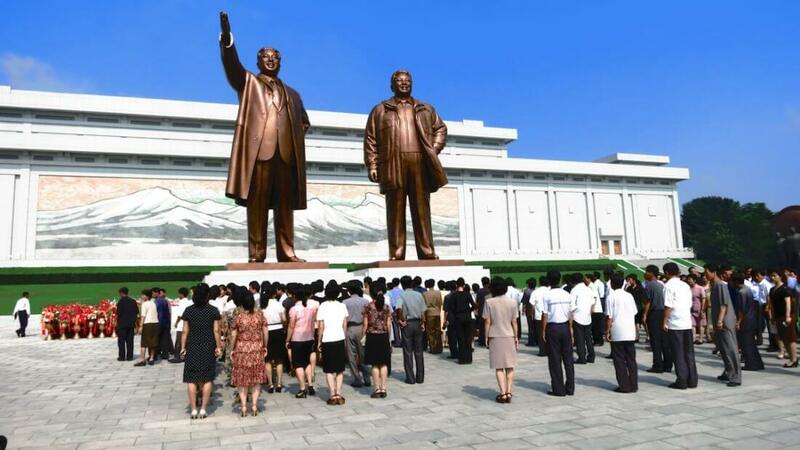 There’s 34,000 statues of Kim Il Sung, the country’s founder, making it one for every 750 citizens. If you want your artworks to be treated with respect, then becoming a sculptor in North Korea might be the perfect job for you! 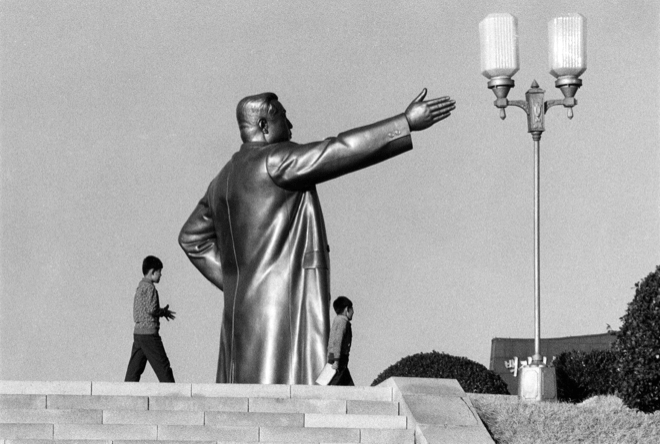 Everyone who passes the leaders’ monuments has to bow three times to the statues. On top of that, when a tourist wants to take a photo of these statues, they have to fit the entirety of the statue in the picture. Otherwise, you risk punishment for accidentally cropping of Kim Jong Il’s feet from your photo. As a university lecturer, you’d not only have to play the accordion, but also teach zumba to university students. Image courtesy of BBC. Conductor at the National Accordion Ensemble at the Pyongyang University of Music and Dance. You’ll have to make do with limited resources. No international research teams. North Korean academics will be your only colleagues. All academic articles have to be submitted to North Korean journals. Academic articles (both humanities and sciences) have to include at least one quote from a member of the Kim family. Working on the PR of the Kim’s dynasty may well be the most important job in the country. Image courtesy of Dailymail. If you’re looking for a truly creative job in North Korea, or perhaps have some previous experience with PR, marketing, or even fiction writing, this might well be your dream job! Your job would be to constantly work to improve Kim’s personal brand and support the strong standing of the past and present leaders of the country. As a PR officer, you have to present the Kim dynasty as almighty superhumans. Cover up for Kim Jong Un’s failing results from his school years in Switzerland. He is known to have been particularly bad at maths and sciences. Disclaim any rumors about Kim Jong Un’s plastic surgery that he allegedly got to resemble his grandfather Kim Il Sung. Inform the world about Kim Jong Il’s unprecedented achievements: “Amazing news! Kim Jong Il learns to walk when 3 weeks old and uttered his first words just 8 weeks after being born”. Spread the word about the leader’s superhuman capabilities: “Kim Jong Un drives at the age of three”. Ensure that all schoolbooks teach kids that Kim Jong Il invented the ‘double bread with meat’ (a.k.a. sandwich). Further support the state propaganda with claims that Kim Jong Il never used the toilet, as he doesn’t need to defecate. Perpetuate the myth that Kim Jong Il could control the weather with his mood. Work on texts for schools, such as “Kim Jong Un’s Revolutionary Activities”, which teaches kids essential life facts, such as the leader’s victory at a yachting race at the age of 9. 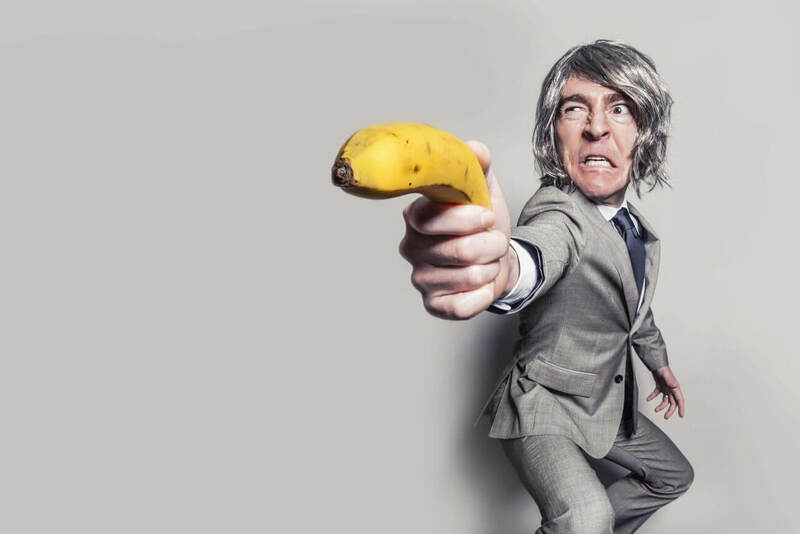 Whatever your dream job may be, create the perfect resume in minutes with Kickresume.